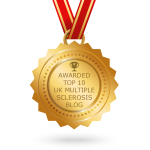 If you have progressive MS then the outlook is not very rosy. Okay so I am one of those people. I was diagnosed in 1994. I suppose I am quite lucky because progress in my case is very slow. Nonetheless my disease is definitely progressing. What do I have to look forward to? Possibly life in a wheelchair is not too distant. Are we the great unwashed? Will pharmaceutical companies invest into the development of new drugs for people with progressive MS? If and when these drugs appear will they be very expensive? Can the country justify prescribing these medicines to stop people like me getting any worse? I am already medically retired so I am damaged goods. Multiple sclerosis was divided into a number of different subclasses of the same disease. Young people newly diagnosed had RRMS. Older people newly diagnosed had PPMS. SPMS was another different disease that developed after RRMS. These were seen as different diseases. Drugs were discovered by the the pharmaceutical industry that significantly slowed down progression of the disease in young people newly diagnosed with RRMS. In the last 15 years the outlook for people diagnosed with RRMS has improved dramatically. Even stem cell therapy is getting in on the act. Drugs that slow down progress of SPMS might already exist. There are drugs that can cure or help more than one problem. These drugs might not be owned by the original pharmaceutical company. In other words the patent or ownership has expired. Simvatatins for the forthcoming MS-STAT2 drug trial. MS-SMART is an ongoing drug trial and is testing, amiloride (licensed to treat heart disease), fluoxetine (licensed for depression) riluzole (licensed to treat MND). Another drug cladribine (licensed to treat hairy cell leukemia) is for the MS-CHARIOT trial but it needs funding. Will they help people with MS? The only way to find out if these drugs are effective is through testing and drug trials. This process inevitably costs time and money. The Multiple Sclerosis Societies and other charities only have a limited amount of money. There is not enough to go round so maybe wealthy benefactors or industry can help out. Funding is a very real problem. This problem exists in the MS world and I’m sure it exists for other diseases. I don’t have enough loose change in my pocket but I’m sure there are people out there who can help. Society needs to accept this responsibility and step up to the plate. Thousands of us are waiting. The answer is out there. There is money out there. When will the answer be licensed? I am so frustrated, are you? I do not understand why progressive ms is so different from the other types and the one no sufferer wants. Surely the symptoms are the same for all types. MS is a disease which attacks the myelin sheath around the nerve. At first the sheath is bruised causing inflammation. This is RRMS. 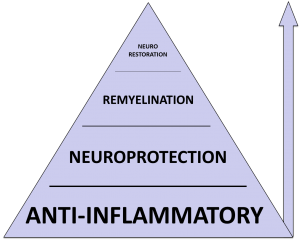 With progressive the myelin sheath is so damaged that the nerve is exposed and damaged and this slows down or even stops the progress of a signal along the nerve. I was diagnosed with RRMS in 1998 age 51 and reassured by my consultant that I was lucky that I had got to this age – I think he must have been off sick and missed the bed side manner lecture when studying! – anyway I decided in 2013 that I had moved on to SPMS to which he reluctantly agreed. Now with a new consultant – who did not miss the lecture – and has offered Gabapentin which is helping a little with the numb (but strangely painful) feet. As you say it is no bunch of roses and I am now modifying the house to allow for living on one floor in the near future. Hey ho could be worse. Sadly bedside manner is not a skillset taught in medical school. Suggest you try to establish rapport with youre local MS Nurse and an MS Therapy centre if there is one near you. You might get some practrical and helpful advice ferom either of these places. I am a progressive MSer, not sure whether primary or secondary, though I discovered recently that my MS diagnosis was confirmed in August 1987. I do not recal experiencing a relapsing, remitting stage, have never taken any DMTs.. Yes, a bit like we’ve just been ‘left out to dry’. Its only one leg that doesn’t work, but people look at me with pity, I feel that my life has stopped going forward. I still work, go out but oh its so hard. I have SPMS too and just hope for something to halt it. Do we have a forum, shall we start one? There is progress on R & D for treatment for SPMS but like everything else there are so many hoops to jump through and money/investment required. I also sometimes feel that we are left out to dry. What ever you do, don’t retreat into your shell. I too struggle but it is always worth it, went to the Pink Floyd exhibition at the V&A yesterday and it was very good. I have been thinking of setting up a closed FB page but I honestly think that I am too busy to take that on right now. I always seem to be hopping along to stop going backwards so I am very reluctant to take on any more responsibilities or commitments. I suspect I am about to be confirmed progressive – and have overtaken you I’m afraid. I’m scared rather than frustrated because it feels as if my 3 DMDs have done little. So resigned to more of the same. Anyway, we can still cling onto hope for a miracle out there..
Life with MS is not a bunch of roses or even a glass of champ.agne. I always try to see things on a positive way.